CAREER INFO - Available seafarers jobs for deck officer, engine officer, deck rating, engine rating working in Yacht, cruise ships. We have been supplying Officers & Crew of all ranks and positions to Shipowners, Managers and Captains worldwide, since 1988. With some of the most prestigious names in the business using our services, we have exceptional experience and expertise of providing a quality source and supply service to the industry. 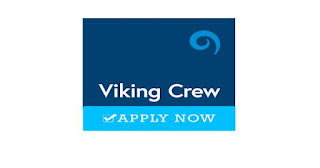 Utilising an extensive database of applicants and our live jobs portal, we specialize in recruiting high calibre, STCW certificated Officers and Crew, as well as hospitality, guest service and interior staff who are in ever-increasing demand in both the cruise and yacht sectors. Our knowledge and experience in this field has enabled us to provide a full Crew Management package extending our support to the Placement, Training, Deployment and Operational needs of our international Clients. Share to help other seafarers looking jobs at sea. Subsribe to get a maritime & offshore jobs guide. Family life insurance company. Free finance courses. 0 Response to "Hiring Male & Female Crew For YACHT, Cruise Ships (Wordwide Jobs)"